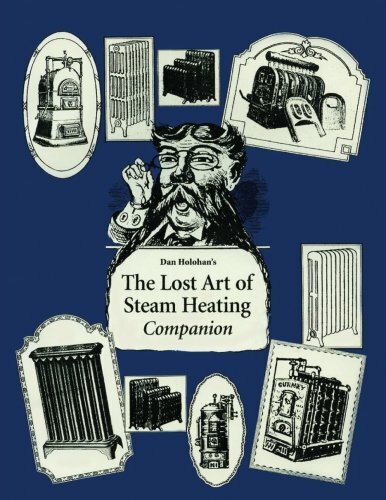 The Lost Art of Steam Heating Companion walks you through the history of steam heating with pictures and hard-to-find literature about older steam-heating systems from a time long gone. These are the research materials that Dan Holohan used to write the original Lost Art of Steam Heating. He brought them together in this beautiful companion book to help you on that next steam-heating job. Usually, if you can just see what the thing looked like when it was new, you can stand a pretty good chance of fixing it. The same goes for old steam-heating systems. If you can just see how it was supposed to work, your odds of success as a troubleshooter improve tremendously. In the Lost Art of Steam Heating Companion, you’ll see the progression and growth of a great industry, as well as the movement from one-pipe steam heating to vapor heating and then from two-pipe steam heating to vacuum heating. It covers the Hoffman Differential Loop, the Plimpton & Hills Corp., Trane Highest Grade Heating Specialities, Moline Heat, Broomell Vapor Heating, the Model K System, McDonnell & Miller Co., Webster's Double Service Valve, and more. 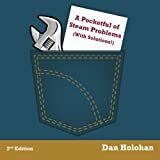 You can use this book to solve steam-heating problems - once and for all. It will make you sharper and smarter and that's a great way to feel. Add a copy to your library and you'll see what we mean.